During our Coastal SAR Course Tyler managed to arrange a tour of the Marine Communications and Traffic and Services station in Victoria (MCTS) something Kellei and I had previously seen photos of - but never had the opportunity to visit. With our friends Simon and Kim studying to work in such a facility it was fascinating to have a closer look at the setup. There are 4 stations and a supervisor station. 2 each for Communications (Coast Guard Radio) and 2 for traffic services. The traffic stations have computer driven high-power RADAR displays that track up to 2000 vessel simultaneously and can run some pretty cool plots of their progression, including: Course, speed, and where two vessel will likely meet. 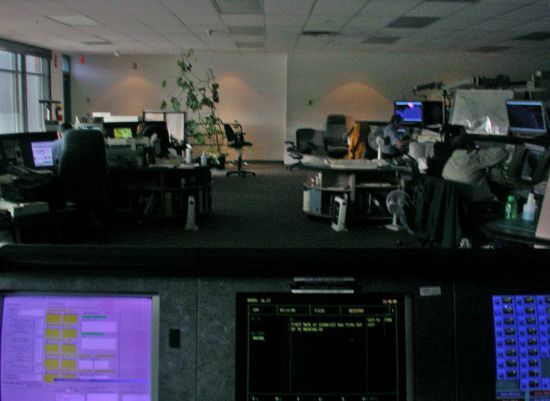 The communications stations handle all coast guard radio communications in the stations area including managing all distress communications and are basically the people we talk to when we call in on a SAR incident. Everything is recorded on the frequencies they control including phone calls into the station - and detailed logs are maintained. The Supervisor gave us a great overview of how each different piece of equipment worked and in what situations it would be used. 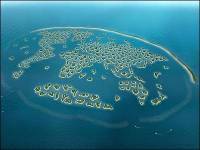 In other news I stumbled across a news article About "The World Project" (see Photo) by Nakheel which will consist of 300 islands positioned to form the shape of the world. It has already been started 2.5 miles offshore from Dubai in Gulf waters and is supposed to be finished by 2008. It will be the most exclusive project in United Arab Emirates history. Upon passing this link to friend and bosunsmate.org user Scott Cale he replied dubbing it "Recursive Geography"